The famous Silver Sands has always captivated our memories or interest perhaps if you are not old enough to actually remember it. We have featured it before on our History Page, but this month we are going a bit more long distance with a side view taken from upper Bayview Avenue probably in front of the Breakers. 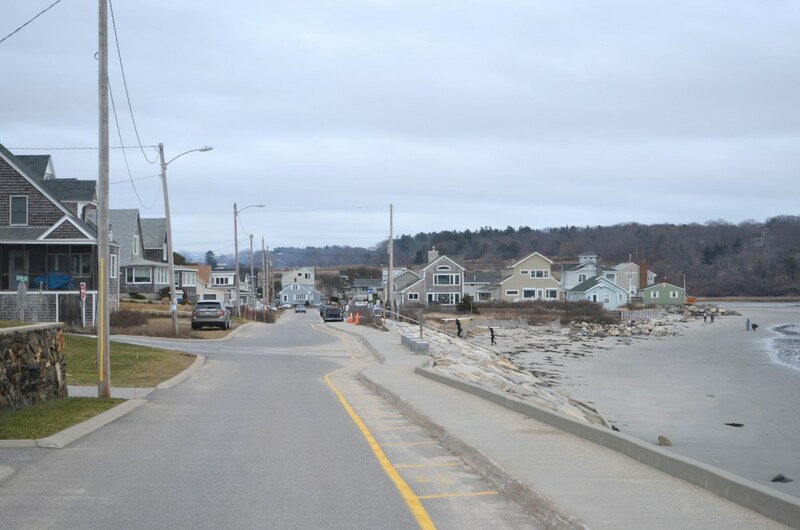 Beyond all the obvious street snow and damage issues, note the sloping angle to the Silver Sands. 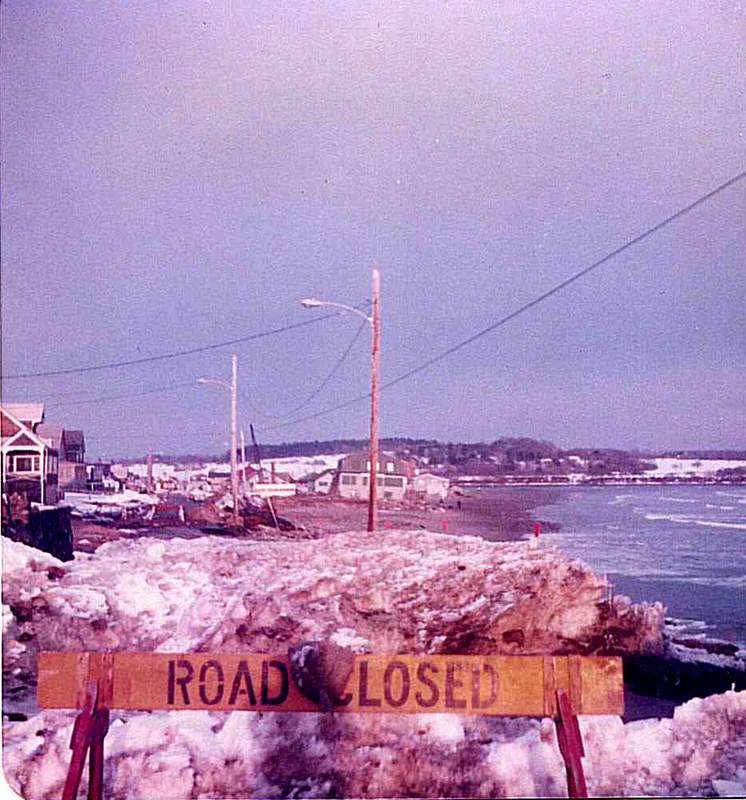 This would have been a 1978 photo most likely but the final straw came in early 1979 with another severe winter storm. We now have a new sea wall, but it was put in much more recently. The three cottages behind those two surfers were all originally rental cottages on the original Silver Sands property.